We receive a lot of inquiries from New Zealanders about the effectiveness of virotherapy, its side effects, whether Rigvir® can be combined with other therapies and how much the treatment costs. 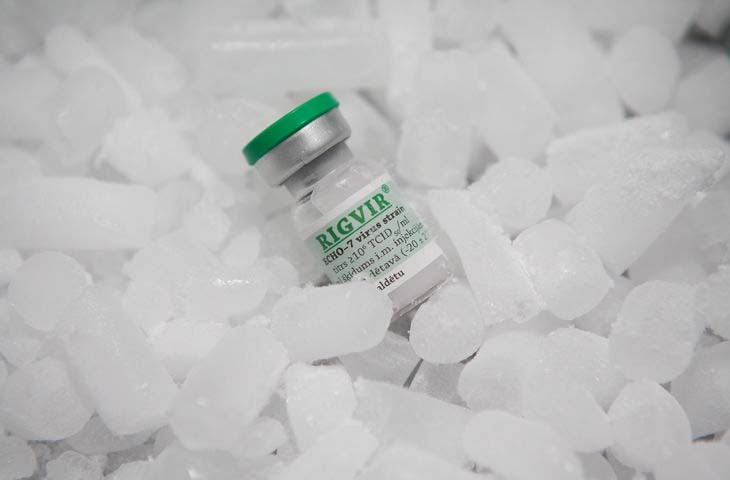 A few words about Rigvir®. The drug was registered in Latvia in 2004, followed by Georgia in 2015 and Armenia in 2016. Recently Rigvir® manufacturer has received the EU funding program grant ‘Horizon 2020’ to make the drug accessible throughout Europe. The registration by local authorities in New Zealand and neighbouring Australia may be the long-term goal. The Cancer Society of New Zealand website shows no results if you enter ‘Rigvir®’ or ‘virotherapy’. But you can still qualify for the treatment at the world’s only virotherapy center of excellence located in Latvia and continue your virotherapy treatment in New Zealand. So let’s see what’s needed to learn if you or someone you know can benefit from Rigvir®. You must be 18 y.o. or older because the clinical trials with Rigvir® were carried out on adults. So far, there has been no proof the drug can help treat pediatric cancer. Your malignancy must be solid because Rigvir® can’t help treat blood cancers such as multiple myeloma, leukemia, and lymphoma. 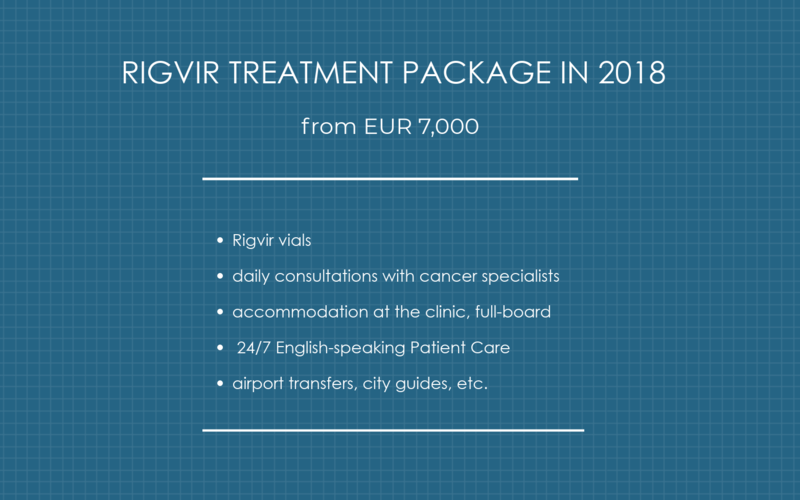 You must possess a confirmed oncological diagnosis because Rigvir® can only be applied in cancer cases and by no means as a preventive measure. Below in the left column you can find a list of cancer types vulnerable to Rigvir® while the right column lists five medical documents you should submit for further review by the team of oncologists in Latvia. Please note that the list of files to submit remains the same whether you are looking for Rigvir for stomach cancer, Rigvir for kidney cancer, or to treat other diagnoses. Within three business days after you submit your files, the doctors will notify you whether you can be a candidate for virotherapy, how much it will cost, and what to do next. 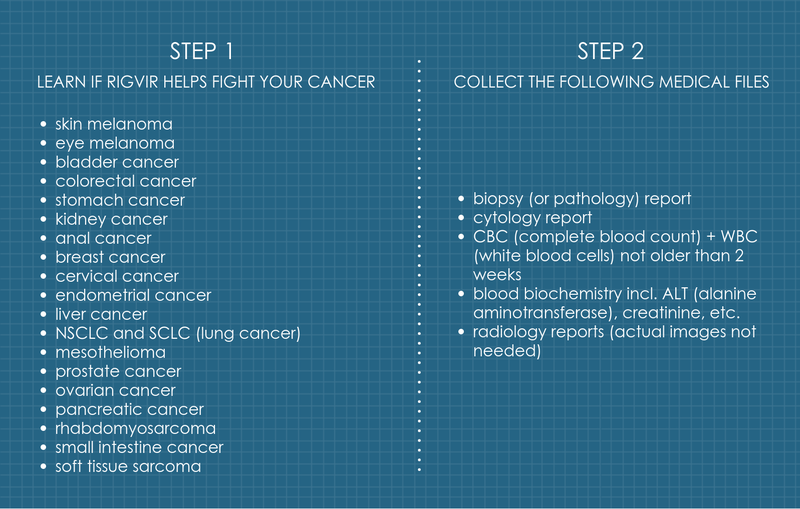 Quick overview of the basic treatment package below. When landing in Riga International Airport, you don’t have to think about the transfer. The English-speaking driver will meet you with a welcome sign with your name on it and will drive you to the clinic. Normally the drive takes up to half an hour. Chances are, you still have a lot of questions about the virotherapy treatment in New Zealand, i. e. how to qualify? will Rigvir® help fight your diagnosis? Please click the button below and we'll get back to you within the first 24 hours with the detailed answers. Patients reading this article also inquire about virotherapy for colon cancer.